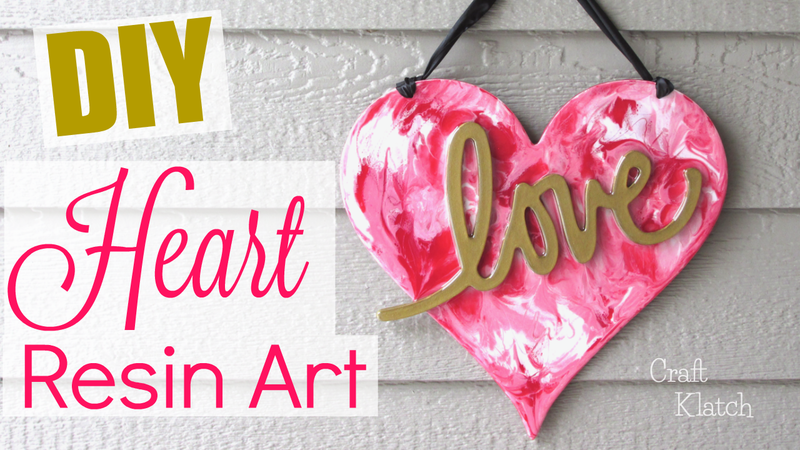 Learn how to create a Resin Art Heart in this Valentine's Day Craft Tutorial! 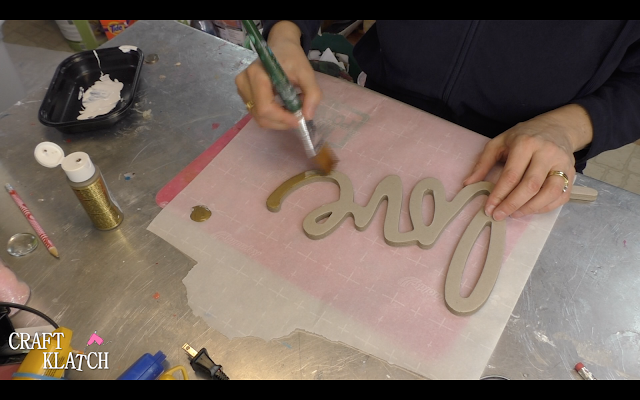 I was asked if I had any ideas on how to combine a wood heart, letters and resin. I didn't, but I collected the items and this is what I came up with! 1. I had this wood heart and removed the ribbon. I did not throw the ribbon away because I wanted to use it to measure the replacement ribbon. 2. I painted the heart white, so the resin would have a nice neutral base. 3. 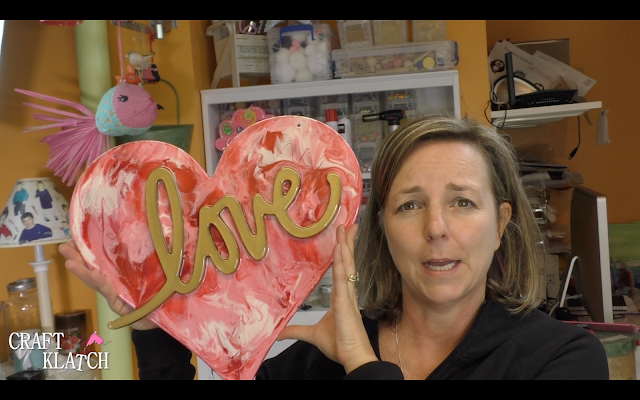 I painted the love wording, with gold acrylic paint. 4. I mixed six ounces of resin and split it into three cups and reserved some too. 5. I added pigments. The first was a mix of white and red, to make pink and the others were just plain red and plain white. 6. 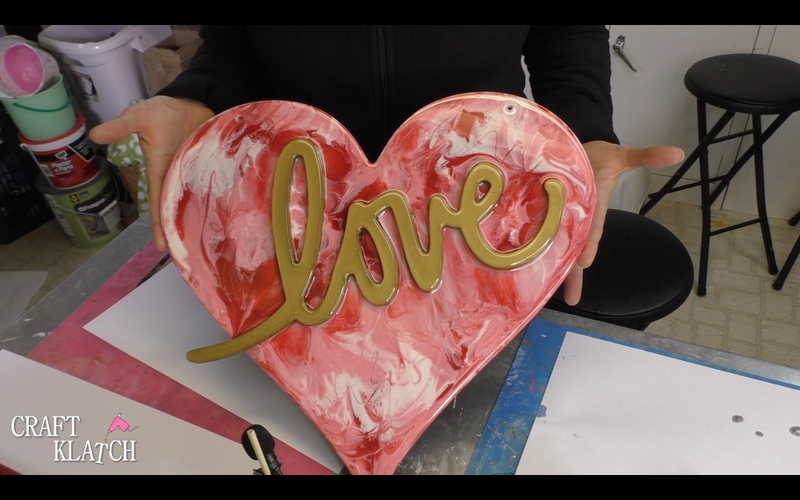 I began pouring the resins onto the heart, in no particular pattern. 7. 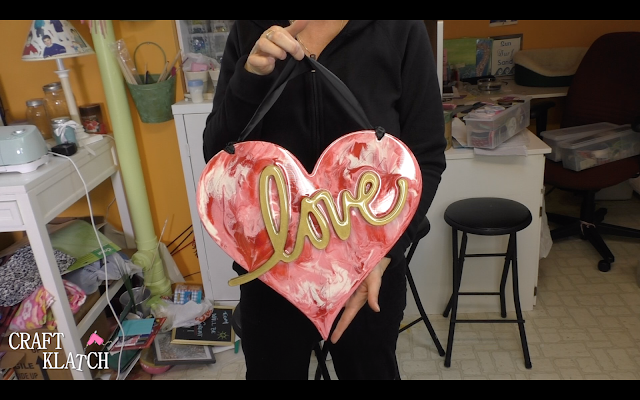 Once I had all the resin on the heart, I picked it up and leaned it from side to side, so it could cover more of the heart. 8. I used my stir stick to move the resin to the edges. 9. I used my torch to pop any bubbles. 9. 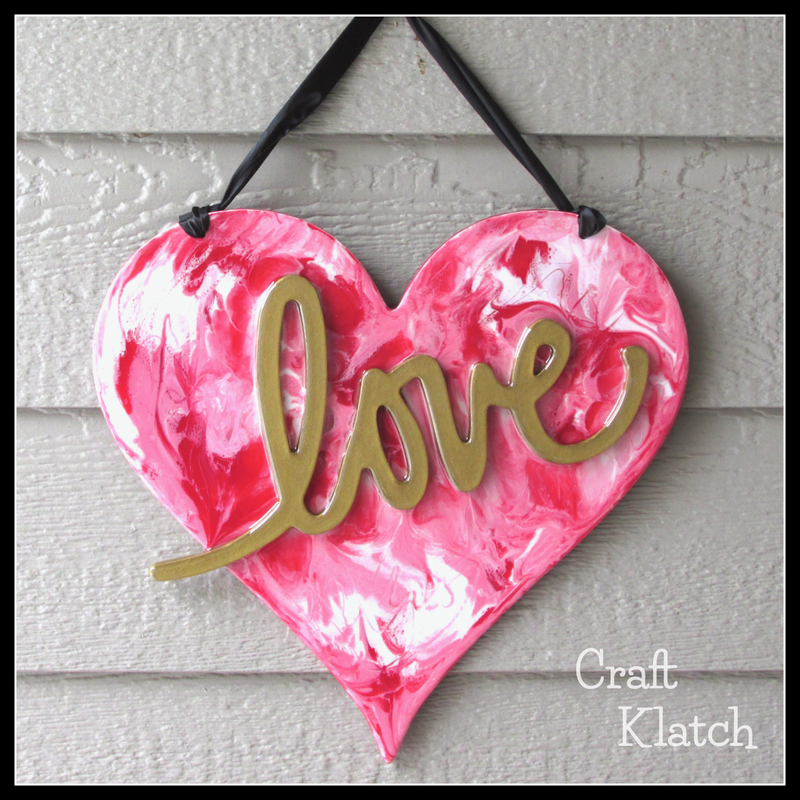 I carefully dropped the love into the wet resin. 10. I then used the reserved clear resin and dripped it all over the love. 11. I used the torch to pop any bubbles and let it sit for at least 12 hours. There it is, all cured, but is lacking a ribbon! 12. I had some wide black ribbon, left over from something, and I added it to the heart. That's it! Now you can hang it up!